Our practice is happy to offer the skills and valuable experience of three accomplished dentists. Dr. Adam Lalonde, Dr. Grayson Sellers, and Dr. Eric Valle are all committed to helping patients achieve exceptional oral health and gorgeous smiles they can feel confident in. They enjoy creating results that not only meet, but exceed expectations! While great dental services are important, they’re not worth much if the team that provides them is lacking. Our staff members always make warmth, friendliness, and support a priority when it comes to our valued patients. 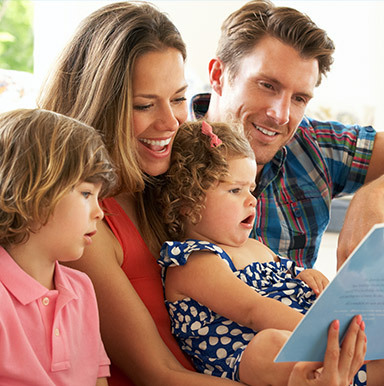 They love making the office a fun and energetic place, and they can’t wait to get to know you and your family by name so they can welcome you all personally each time you come in for a visit. Prevention is a crucial part of oral health care. After all, isn’t it easier to protect your smile against common issues rather than have to seek out treatment for damage later on? That’s why Dr. Lalonde and his team are happy to offer a variety of general dentistry services designed to detect potential problems as early as possible and correct them thoroughly. We love helping patients of all ages achieve happy, healthy smiles for life through our work! Whether you’re struggling with a simple cavity, damaged enamel, or a tooth that’s missing altogether, our team at Los Fresnos Dental Center can provide you with the support and exceptional care you deserve. Our restorative services are designed to erase decay and rejuvenate your oral health so that you can get back to smiling confidently as soon as possible. Fillings, crowns, dentures, dental implants, and much more are available for your convenience. 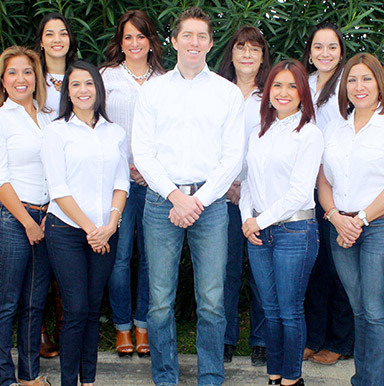 Here in Los Fresnos, our team always enjoys helping patients achieve smiles that look just as great as they feel. Our transformative cosmetic dentistry services are painstakingly tailored to create results for your teeth that are natural, high in quality, and simply stunning. We can even design a personalized smile enhancement plan that gives you the changes you’ve been dreaming of while keeping in mind both your unique preferences and your budget. Today, dental implants are the clear frontrunner in the world of reconstructive dentistry. Patients who’ve lost one or more teeth will quickly find that this revolutionary technique offers them valuable health benefits, a durable, long lasting smile, and a significantly higher quality of life. Better yet, implants match the feel and appearance of natural teeth so seamlessly that many patients often forget they’re not actually real after some time has passed. You’ll be amazed by the results! With various services and techniques available, understanding dental care can often be overwhelming for many patients. Visit our FAQs to learn more about the health and maintenance of your smile, as well as what our Los Fresnos practice can offer you and your family. For your convenience, Los Fresnos Dental Center offers all the new forms you’ll need for your first appointment online for easy viewing and printing. Simply fill out the information in the comfort of your home and bring them with you so that you can give them to our friendly front desk team when you arrive. Before you know it, you’ll be heading back to see the doctor! Visits to the dentist shouldn’t have to be dreaded. From the moment you step inside our serene office environment, you’ll be sure to see a difference. Our Los Fresnos team offers a wide variety of amenities designed to help you relax and feel safe and pampered as we take care of the health and happiness of your teeth. Nitrous oxide, movies, beverages, aromatherapy candles, warm towels, and much more are available upon request. Dr. Lalonde and his team are always looking for new ways to make you and your family’s dental care experience that much smoother. That’s why he and his team rely on the latest tools for maximum convenience and comfort. From the precise nature of digital X-rays to the powerful cavity detection of Diagnodent, these state-of-the-art techniques allow us to protect your smile better than ever before. Plus, our advanced sterilization techniques always put your safety first. Over the years, our dental team has beautifully transformed a wide variety of smiles belonging to patients of all ages. Our photo gallery highlights a number of these cases for your viewing pleasure. You’ll be amazed by the changes your oral health can experience when helped by an expert hand! We know we have a lot to offer you as a prospective new dental practice, but you don’t have to take it from us. Feel free to peruse the reviews we’ve received from patients over the years and learn more about the quality of our services and our team. Here at Los Fresnos Dental Center, we believe in the power of giving back to one’s community through hard work and dedication to helping others. Learn more about the services we’ve performed for underprivileged smiles through the link below.